While the original supported just two players, Guacamelee! 2 will support four player drop-in/drop-out local co-op throughout the campaign. Awww yeah! Now you and your gaming buddies can all don your luchador masks and drop some flying elbows on foes. There weren't a lot of details about the game shared during the brief reveal/announcement trailer, but there was a bit more subsequent posting on the PlayStation blog. The sequel is set seven years after the events of the first game and Juan Aguacate must once again set out to save Mexico. At his disposal he'll have some new abilities, like the "Eagle Boost" that can be used to grapple onto and fling off of certain points, and a more powerful chicken transformation. 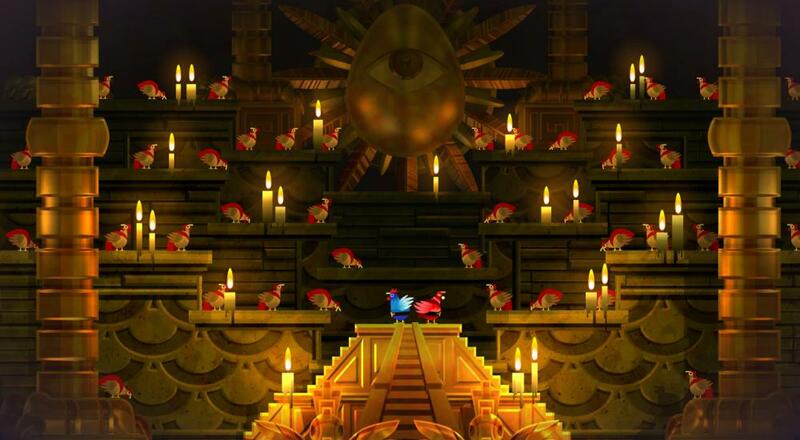 No release date for Guacamelee! 2 was announced, and for now, it appears it will be PlayStation 4 only. There should be some more info/details in December during the PlayStation Expo. Page created in 0.9268 seconds.